In a few small group sessions of old dodderers like me, a couple or more years ago, we concluded that the illicit drug trade, people trafficking, and the abuse of a worldwide aging population were three of the major social horrors confronting humanity in this coming century . I was asked, as former journalist, if I could write articles exploring these societal phenomena, dealing with the magnitude of savagery they entailed. I told them my days of writing such commentaries had long since passed and, furthermore, any such articles written by an amateur like me would be ignored . I did some research into the subjects, accessing the authoritative international data and statistics freely available on the Web. This research confirmed the kind of concerns we had discussed among the group, but I was convinced that any critical analysis by me would have little impact. Even so, I had the guilty feeling that I was evading a personal responsibility to do something about it all, given the information I had gathered . These misgivings have haunted my thoughtful moments ever since. How could it all be put across to an indifferent audience by the experts themselves? My conclusion was that it could be done through a fictional setting of one kind or another. Hence the first two books–Con Job and Scandalous–that covered, using the literary device of a documentary crew, the essential authoritative basic research on the first two issues. I have virtually completed research for the third book, on elder abuse. 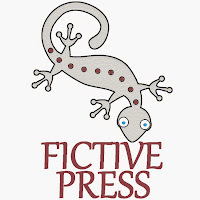 Check out our FictivePress.com website. COPYRIGHT © 2815699 Canada Inc. Theme images by Ollustrator. Powered by Blogger.